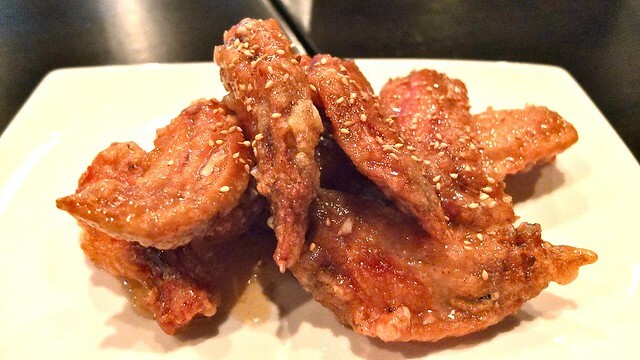 Half-price chicken wings special on Wednesdays at Indochine Kitchen on East Broadway on July 4, 2012. 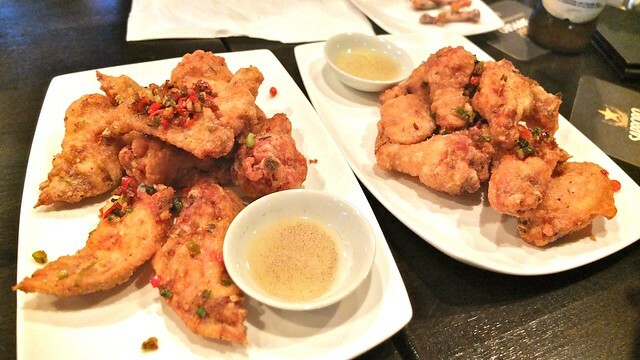 After hitting up Clough Club for some Havana Club rum cocktails, Dennis, Kevin, and I had massive cravings for some late night chicken wings. 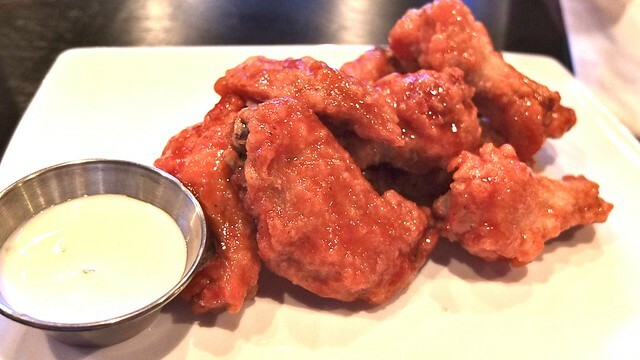 We hit up Indochine on Broadway for their special half price wings and $5 import bottled beers on Wednesday. We had to sample their Phnom Penh style (same recipe) aka garlic butter chicken wings. They were the real deal, very crisp and up to par. I really dug the glazed honey garlic chicken wings. It had a great consistency and flavour. The hot and spicy Sriracha Buffalo wings were a little bland but still pretty satisfying with a tangy spice taste. I was happy with their variety and taste of the wings. Indochine has some pretty solid daily specials worth checking out.